Pick up at Komodo airport Labuan Bajo at 9.30 AM. Start sailing day 1, Destination: Kelor island, Rinca island / Komodo Island, sunset at Kalong island. Transport, fuel, meal 3 times a day, and accommodation during trip. 2 nights LOB (Phinisi) & 1 night at Labuan Bajo 4*hotel. Flight to and from Labuan Bajo. 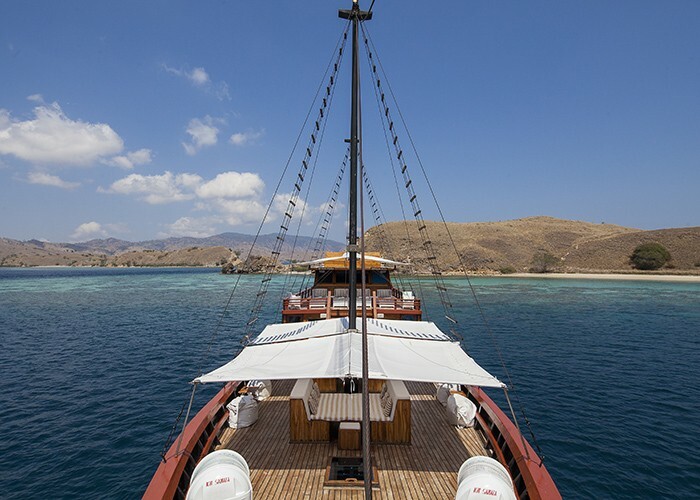 From Jakarta - Labuan Bajo approx Rp, 3,500 K - 4,000K (we will help to book the best possible rate for you) . Tips for ranger, guide & boat-men.